Just a few weeks to go for the second edition of CRAFT BEER ITALY, at MiCo Lab Milano Congressi on 27th and 28th March 2019, and everything is ready to offer visitors a unique experience. Strength points of this edition are the great internationality, a wider high-quality exhibition area, the technical quality of the conferences and the wide supporting program, specifically designed to give value to the craft beer sector and engage the visitors. On the ehxibition website www.craft-beer-italy.it/en visitors can find the exhibitor catalogue, that features leading companies for raw materials, technologies, packaging and marketing, and the complete conference program, enriched by several speech aiming to help the brewmasters to effectively deal with daily challenges. The professionals of Doemens and VLB Berlin, partners of CRAFT BEER ITALY, will also answer visitors’ questions in a Q&A session, a great opportunity to solve any brewing doubt they may have. Even the German association Private Brauereien, which has been organizing the prestigious European Beer Star competition for years, has chosen CRAFT BEER ITALY to speak to Italian brewers and reveal them all their secrets to increase their success through the visibility offered by the competition. The floor will then be left to the companies supplying the sector, which every day work alongside with breweries in search of ad hoc solutions for their activities: the CRAFT BEER ITALY conference will host, among others, the speeches of Lallemand Brewing on the enzymes in brewing and Fermentis on the use of dry yeasts for craft breweries. Hach Lange will talk about oxygen monitoring and Arconvert will explain how the label can be an effective tool for neuromarketing. Pentair instead will present solutions for membrane filtration suitable for the craft brewing. The conference would not have been complete without the participation of Unionbirrai, that will step on the floor at CRAFT BEER ITALY to present the 2018 Report on the Italian Craft Brewing Sector and to launch OBiArt, the Italian Observatory on Craft Beers, created in cooperation with the University of Florence. Unionbirrai will also talk about quality control, labelling and transparency as well as hop growing in Italy. 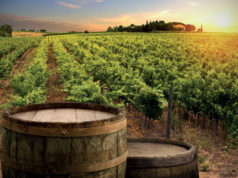 Between a conference and a meeting with their suppliers, breweries will have the opportunity to be guided by the skilled Doemens Beer Sommeliers and Unionbirrai Beer Tasters to discover Italian and international beers at one of the four dedicated tasting areas. CRAFT BEER ITALY is proud to support the commitment of women in the brewing sector and announce that one of the tasting areas will be managed by Doemens Beer Sommeliers belonging to the association Le Donne della Birra. A little “interactive” surprise awaits all visitors: they will be able to live a neuromarketing experience at the VDGlass and Cias Innovation stand, where, thanks to EEG technology, they will discover firsthand how the brain system reacts to different types of glasses while tasting beer. Last but not least, CRAFT BEER ITALY 2019 announces great news: in collaboration with, NürnbergMesse Italia in cooperation with MoBI (Movimento Birrario Italiano – Italian Beer Movement) will offer free training seminars for homebrewers at the Homebrewing Forum. Because CRAFT BEER ITALY is home to present but also future brewers. The same Forum will host the final stage of Doemens Italian Beer Sommelier Championship: this is a unique opportunity to attend this sommelier challenge, which gives access to the prestigious Doemens World Championship of Beer Sommeliers. The announcement of the winners and award ceremony of the Best Craft Beer Label contest will also take place at the Forum. 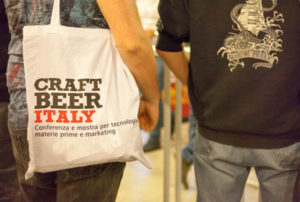 All participants in the competition will benefit not only from the unique visibility offered at CRAFT BEER ITALY and BrauBeviale 2019, but also from discounts to print their labels thanks to the cooperation with TIC TAC Stampa, a company that strongly believes in the potential of those small big realities that are craft breweries, so much so that they have also adopted materials dedicated to their labels. After an intense and profitable day at CRAFT BEER ITALY visitors can enjoy several events in the city, like the pub crawl in iconic Milan craft tap rooms and exclusive parties.